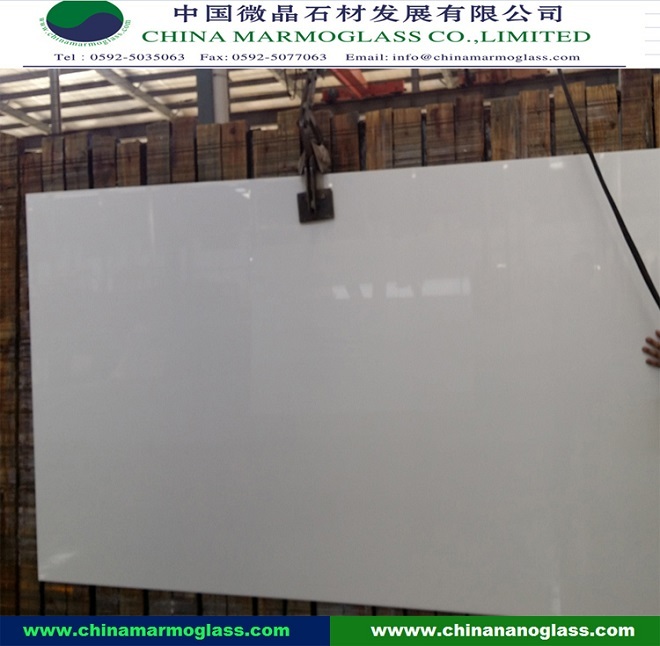 Big Slab White Super Nanoglass Price-welcome to china marmoglass, nanoglass, nano crystallized glass panel crystallized glass panel,crystallized white stone,white marble,minicrystal stone. We are Marmoglass Counter manufacturer and exporter. 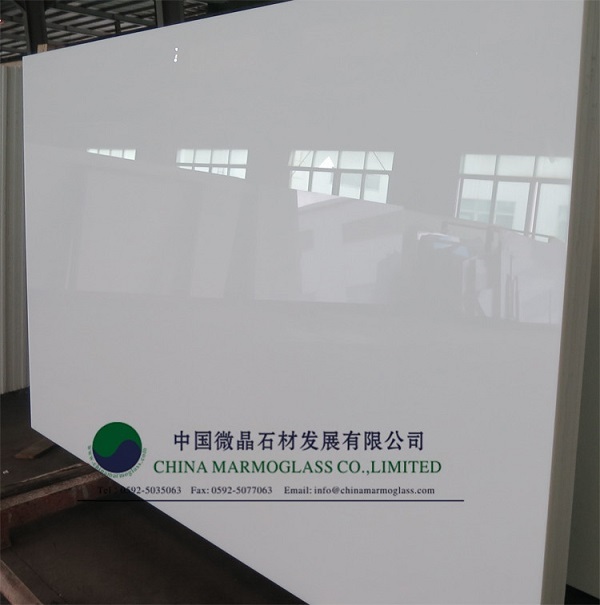 We offer Marmoglass and Nanoglass finished products.Crystallized Glass Panel - Marmoglass is widely used for counter top, kitchen top and vanity top for little maintenance needed.Crystallized glass, widely known as White Glassos is used for many tops considering its cheaper price and high functions. Compared with natural marble, it is more resistant to scratch, stain, corrosion and does not discolor.We have all types of crystallized Marmoglass E Nanoglass series from thickness 6mm to 35mm ( Marmoglass Sem Furos, Marmoglass Com Furos, Nanoglass - NANO2009/NANO2011, Mincrystallized Glass Stone).